With school districts statewide cutting budgets due to rising expenses, funding to pay for public school equipment and programs essential to a well-rounded education can often be in short supply. To help offset some of these expenses, the Scholar Dollars program is awarding more than $300,000 to K-8 public and charter schools statewide. Schools are free to spend awarded funds on musical instruments, computers, library books, sports equipment, field trips, or gardening tools. The awards can also be used for tutoring labs, science and technology and math instruction, clubs, and many other activities. Participation in the Scholar Dollars program is simple and short. 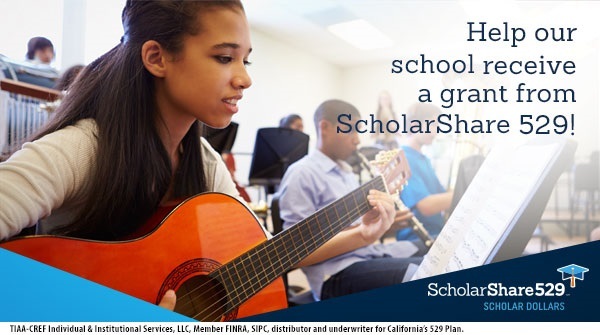 Schools can register online at www.MyScholarDollars.com between Feb. 11, 2019, and March 1, 2019, and then have their communities vote in support of their plan to spend the award funds. The schools that earn the most votes win. (Awards will be awarded in six categories based on enrollment size.) School board members, too, are encouraged to make sure their schools are registered by the March deadline, and to then spread the word about voting to their school communities. For information about the program, visit www.MyScholarDollars.com.